With Mother's Day only a few weeks away, here at Clare Florist we have been busy preparing our flowers for mother's day, and ensuring they are well packaged and delivered out to your Mum in time. If you are looking for a gift idea for your Mum or simply want to get her something to show how much you care, then our guide to the best flowers for Mother's Day is sure to come in handy. Every flower has it's own unique meaning, and Roses have been used for centuries to symbolize affection. One of the most popular flowers, sending roses to your mum is a timeless gift that she will cherish. 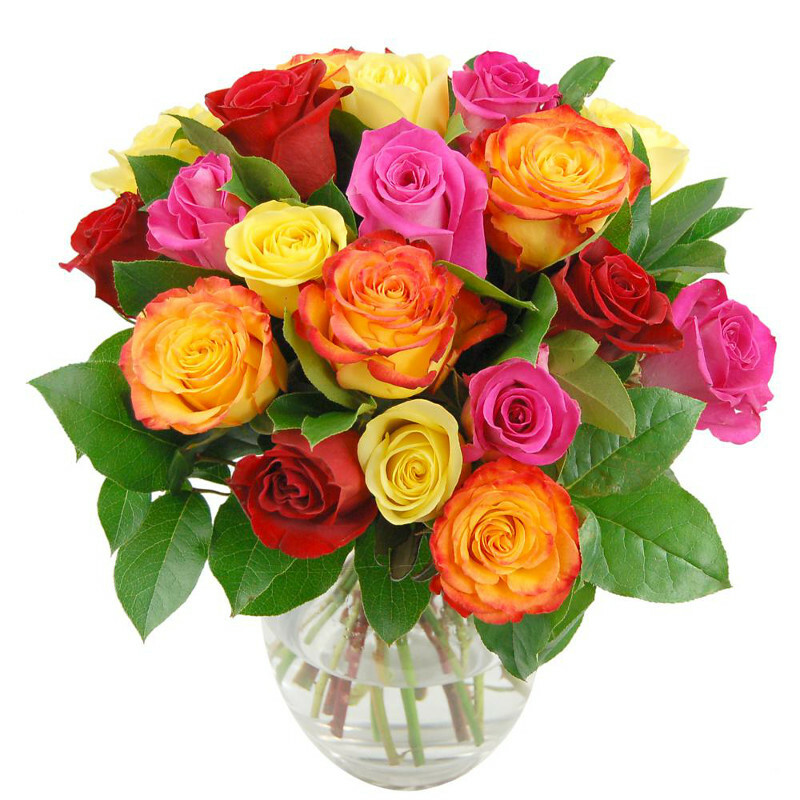 Our Rose collection for Mothers Day includes our Rainbow Roses Bouquet consisting of a mixture of red, pink, green and yellow roses selected by our expert florists. Bursting with color, our Rainbow Roses bouquet is sure to bring a smile to your Mums face, and the colorful tones will brighten up your Mums home when placed in a vase. 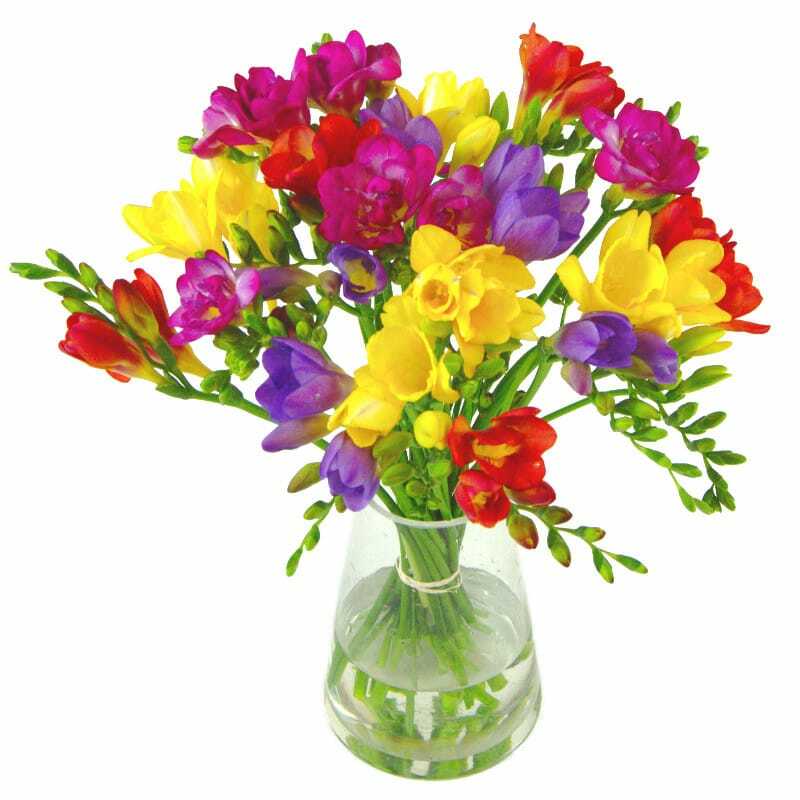 Freesia flowers are wide known for their sweet fragrance which fill the room with a lovely delicate musk smell. If you're looking for an alternative to Roses, then our range of Freesia bouquets are sure to impress. Our Scented Freesia bouquet is a charming bouquet of luxurious Freesia flowers hand tied and arranged by our florists. This bouquet will be a stunning addition to your home, and will be a much loved gift for your Mum this Mother's Day. We have a varied collection of Mother's Day Flowers available which we will be discussing in future posts! In the meantime, feel free to browse our site to find the best flower to send your mum.